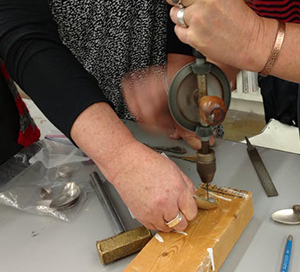 Jewelry Open Studio is the chance for existing Jewelry students to finish their projects in a relaxed setting. Kristin will be floating in and out of the classroom and will be available for questions. This is a great time to create on your own. Please bring your supplies and enjoy the process of growing your skills.